This site offers an interactive tutorial in which students test the validity of the ideal gas law by measuring the pressure of a gas at various molar concentrations. 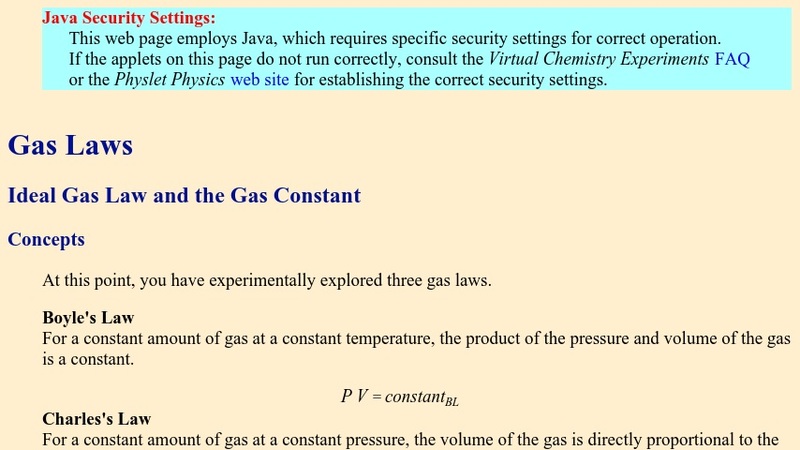 The value of the gas constant is determined graphically. This tutorial is coupled to others to further guide the student to a better understanding of the principles which govern the behavior of gases.